MANILA, Philippines - The guessing game is over for the meaning of '3' on Pinoy Big Brother (PBB) 737. Reality show's host Toni Gonzaga officially revealed on Saturday night that it pertains to the 3 celebrity houseguests that will enter the famous yellow house starting Sunday, July 26, 2015. Netizens think line up of celebrity houseguests could include ASAP mainstay and PBB co-host Enchong Dee dubbed as the "Swabeng Swimmer ng QC." 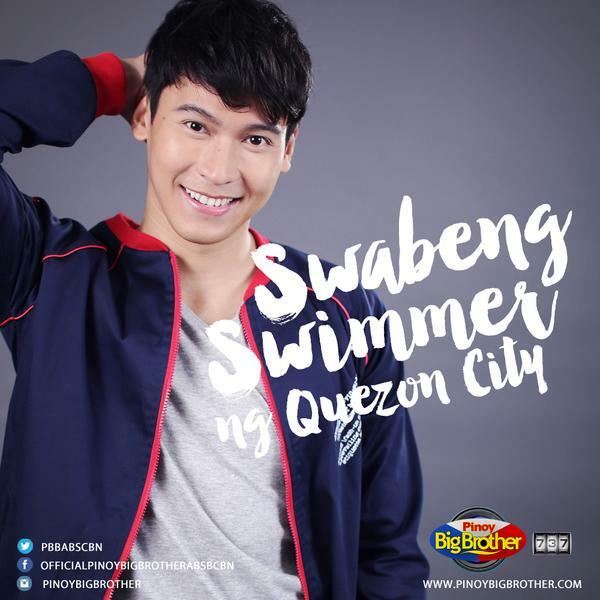 UPDATE: First celebrity houseguest is "Swabeng Swimmer ng Quezon City" Enchong Dee. TheSummitExpress will update this page once PBB named other celebrity houseguests in the coming days. The announcement of PBB last night received mixed reactions from the online world. Ang baduy nung PBB737. The "3" refers to 3 celebrity houseguests which we all have seen before. PBB is the worst show on ABS-CBN. The housemates are now down to seven after Kyle Secades decided to voluntarily leave the famous yellow house on Thursday.